Item number 2763/12 from the MOA: University of British Columbia. 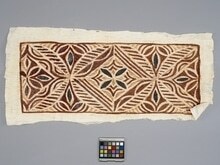 Small rectangle of tapa cloth with smaller rectangular design on one side painted brown, pale red, and black. Central floral motif with four black petals and four smaller pale red ones is set within a large diamond, with identical opposing sides, which is itself set within a circle filled with short brown horizontal lines. 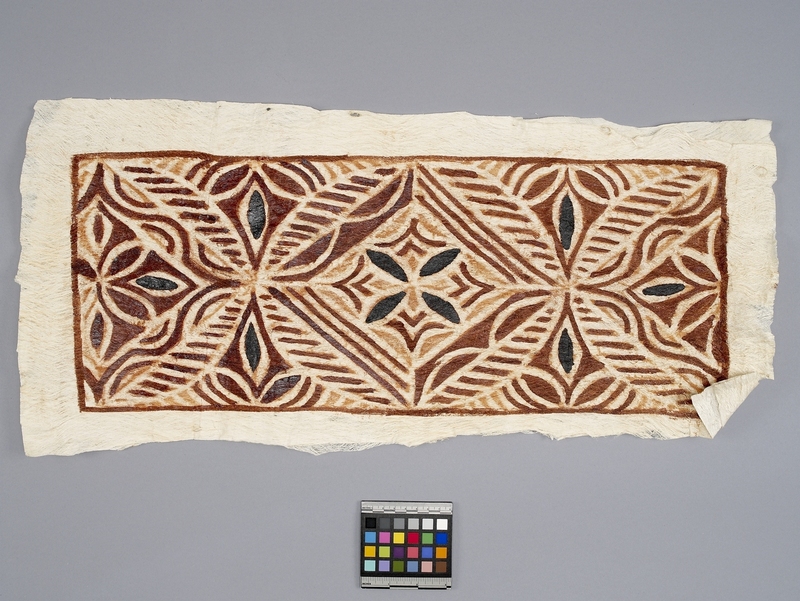 On either side, a half circle filled with similar motifs is separated two vertical brown leaves with black centres.